FEATURE STORY: Former Los Angeles Kings defenseman Mattias Norstrom talks about his time with the Dallas Stars and the difference between playing with Dallas and with the Kings; also features Kings goaltending prospect Daniel Taylor. 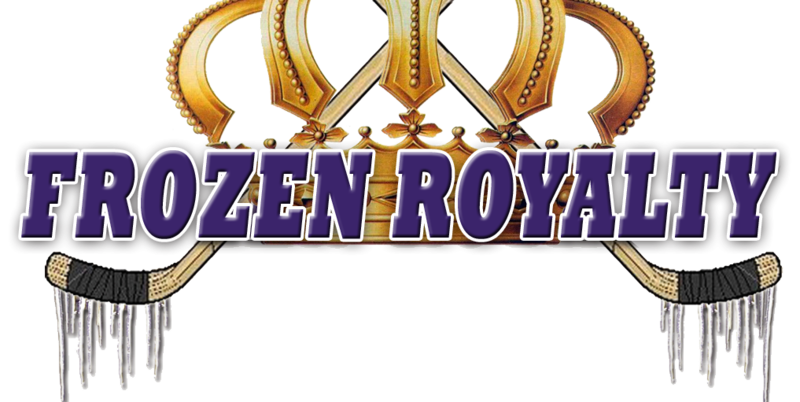 LOS ANGELES — In what has been a disastrous year for the Los Angeles Kings with, mercifully, just one game left in their season, here at Frozen Royalty, we thought a change of pace was in order. As such, here is a different kind of story related to the Kings, a story about a Kings fan favorite who will be returning to post-season play after a long drought with the Kings. That player is none other than Dallas Stars veteran defenseman Mattias Norstrom, who toiled for ten years on the Kings’ blue line before he was traded to the Stars at the trade deadline last season. Norstrom, 36, served as team captain in his final four seasons with the Kings, is easily one of the best players ever to patrol the Kings’ blue line. For Norstrom and the Stars, things started off very well this season, but they hit a major snag a few weeks ago and started losing games in bunches, including an embarrassing 4-2 loss to the Kings on March 22 in Dallas. In that game, the Stars gave up three goals in the final 3:01 of the game, gift-wrapping a win for the lowly Kings. Thirteen months after he was traded to the Stars, Norstrom finds himself in somewhat unfamiliar territory—preparing for the playoffs. Norstrom highlighted the wide gulf between playing for a contender as opposed to a team that is merely trying to keep its collective head above water. Norstrom, whose contract expires on July 1 when he will become an unrestricted free agent, added that he is totally focused on the post-season. To be sure, Norstrom is definitely not taking this chance at winning the Stanley Cup for granted, not after being on the outside looking in during his last four seasons with the Kings. Speaking of thirteen months, back then, Norstrom said that he believed that the Kings were headed in the right direction with their rebuilding movement. Fast forward to the present…Norstrom said that he hopes the Kings are making progress towards rebuilding but added that there are no guarantees until the team starts to win. On March 27, when goaltender Dan Cloutier went down with a groin strain, the Kings called up goalie prospect Daniel Taylor from the Manchester Monarchs of the American Hockey League (the Kings’ primary minor league affiliate) under emergency conditions. Little did the 21-year-old native of Plymouth, England know what was to come. Taylor left Manchester at 6:40 in the morning on March 27, and barely had time to grab his luggage at baggage claim before he was whisked off to Staples Center where the Kings beat the Phoenix Coyotes that night, 4-0. Two days later, Taylor came on in relief of goaltender Erik Ersberg in that blowout loss to the Stars on March 29. He received quite the rude welcome as the first NHL shot he faced came from Stars forward Jere Lehtinen on a breakaway. First NHL shot, first goal allowed. Taylor was not expecting to see any action against Dallas, but was pressed into service to give the beleaguered Ersberg a rest. And boy, did he want to have his first shot faced in the NHL to be a save. Welcome to the NHL, Daniel Taylor. The Kings tied a record when Taylor entered the game, becoming the seventh goalie to appear in a game for the Kings this season. The 1989-90 Quebec Nordiques and the 2002-03 St. Louis Blues share the record with the Kings, who have had Jean-Sebastien Aubin, Jonathan Bernier, Dan Cloutier, Erik Ersberg, Jason LaBarbera, Jonathan Quick, and now, Daniel Taylor, see action in goal this season. And here’s where Taylor’s story takes an odd twist. On March 30, Taylor found himself back with the Royals, playing a total of 36 seconds in the 3-2 loss to Cincinnati. The very next day, Taylor was back on a plane heading for Los Angeles, having been recalled to backup Ersberg when the Kings skated against the San Jose Sharks on April 1 in San Jose (a 5-2 San Jose win). After that, it was right back on a plane for Taylor, heading back to the Royals, who hosted the Johnstown Chiefs on April 2. Taylor played the final second of the game. Yes, you read that correctly. He got just one second of ice time. So what’s the deal here? Simply put, Taylor needed to play in two more games for the Royals to be eligible for post-season play. Regardless of the situation, playing just one second in a game is very, very odd, to say the least. As tiring as his recent journey has been, it has not been all bad. But “tired” was certainly the key word for Taylor after the Kings beat the San Jose Sharks, 4-2 on April 3.